It is possible to access Prota with multiple devices at the same time. 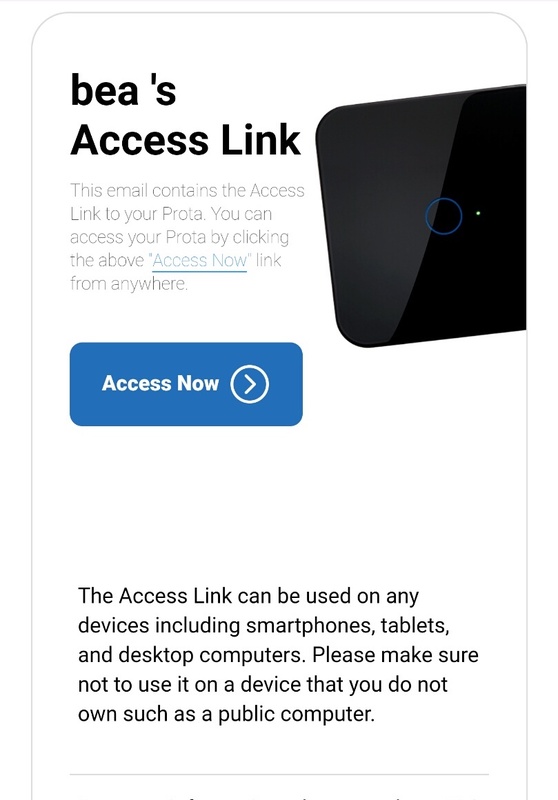 You need to use the access link sent by Prota at the end of the first time configuration process. Open this link in a device you want to grant access to your Prota. Please do not forward the access link email to others. This link is permanent and universal, so if someone gets it, they can access your Prota anywhere, anytime.